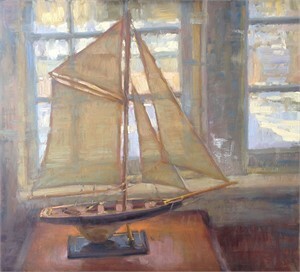 Although I am not a fan of titles I am considered a Contemporary American Impressionist. My work is about the dialogue of shapes, tones, colors, textures, edges, and line no matter what the subject matter is. By using these elements as a dialogue in my art I am not bound by subject matter and I am able to explore and experiment in order to create a statement and mood. I work in a range of styles while experimenting from tight realism to loose impressionism, to almost pure abstract. I enjoy a marriage of the styles most of all to achieve my end goal. My hope is to engage and influence the viewer on an intellectual and emotional level. Chuck Marshall (Charles W. Marshall, Jr.) was born in Wilmington, Ohio. The small town of New Antioch, about 7 miles outside of Wilmington, became home to Chuck, his one brother, five sisters, mother and father. The surrounding area was known for its agriculture – mainly hogs and corn. So Chuck grew up working farms and spending time in his father's construction trade, but Chuck knew he wanted to do something different with his life from an very early age. He would spend hours each day sketching images of fields, hillsides, animals, and people that he would see while roaming the countryside.He studied one year at the Art Institute of Cincinnati before moving on to study at the California Art Institute in Southern California. His art career includes many years as an illustrator and graphic designer as well as his fine art. 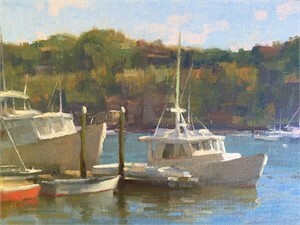 Chuck has been invited to and participated in many national plein air events as a guest artist, such as Olmsted Plein Air Invitational, Atlanta Georgia, Door County, Wisconsin, Great American Paint Out, in the Apalachicola/ Panhandle Florida area, Wayne Plein Air, PA, and Finger Lakes Plein Air, and the first annual Cape Ann Plein Air Festival in Massachusetts. 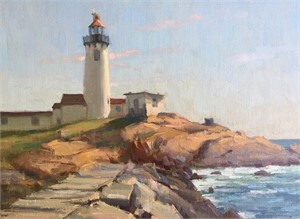 He has participated and won awards in other national events such as the Annual American Impressionist Society’s competition. 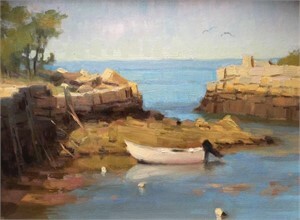 Chuck and his work has been published in International Artist Magazine, American Artist Magazine, Plein Air Magazine, and American Art Collector. 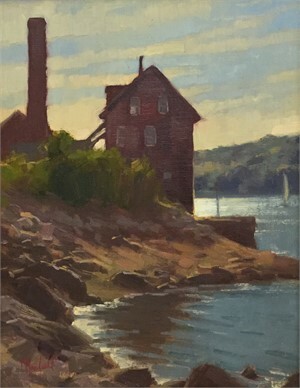 His work can be seen at the Charles Fine Arts Gallery in Gloucester MA, the Mary Ran Gallery, Cincinnati, Ohio, and Hayley Gallery, New Albany, Ohio. Chuck’s work can also be seen at the Museum Of Spiritual Art located in Franklin Ohio, where he has a large number of figurative works and landscapes. View more of Chuck Marshall's Paintings on our marketplace.